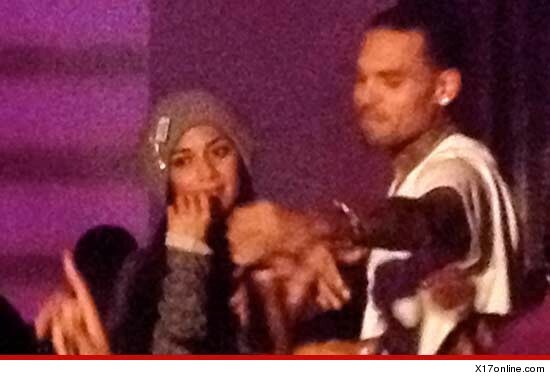 Nicole Scherzinger insists ... she did not swap spit with Chris Brown last night inside a Hollywood nightclub -- telling TMZ, the two were simply talking ... very closely. In case you haven't already seen the photos -- they show Chris and Nicole inside Supperclub last night getting very close to each other. According to reports, the two were even making out ... and some people think the above photo is proof. But a rep for the ex-Pussycat Doll tells us, "There is absolutely no truth to the ridiculous story ... The photos that have surfaced are old friends who were trying to talk at a very loud club." The rep adds, "I guarantee there will be no photos of them kissing." Former Pussycat Doll -- I Wanna Be Like Miley!